Sales page not converting? Having trouble getting new customers? 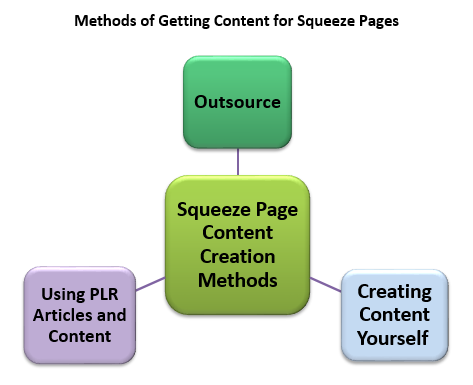 A squeeze page is a marketing tactic used to direct visitors to a single place, usually a form that they enter their email address into. There are rarely hyperlinks to other pages or websites due to the fact that the only thing the marketer wants the visitor to do is to enter their email address into the form, effectively adding a user to their list. So you might be asking, how can I get someone to enter their email address into my form? The most effective method of doing this (and this is what most marketers do) is to offer something for free. For example, if you are building a list of people who are interested in building muscle, you may offer them a short report for free that persuades them to sign up to your list, in order to receive it. Of course, this report can either be written by you or it can be outsourced. There are a variety of ways to create squeeze pages, and depending on your level of technical experience, you may either opt to create one from scratch, writing the code yourself (or using a WYSIWYG editor), or utilize an online squeeze page generator. Many squeeze page generators exist on search engines and can be an easy and quick way to get your squeeze page up and running. To find some excellent squeeze page generators, simply type ‘squeeze page generator’ into your favorite search engine. Headline - This is probably the single most important part of the squeeze page because it is generally the first thing the user reads when they land on the page. You want to have a good headline that captures their attention and makes them beg for more information. See below for more information and examples on headlines. A thick Red font is most effective for headlines. Reason To Sign Up - The best method to do this is to offer something for free, whether it is a free product, webinar, coaching, etc. As long as you can get the user to perceive the free offer of a high value, then you will be able to persuade them into entering their email address. 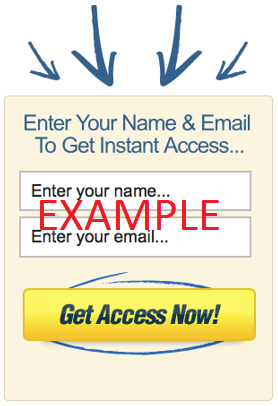 The Opt-In Form – You are building a list so you need somewhere for the user to input their email address! Make sure that the opt-in form is highly visible so the user does not have to go looking for it. Avoid Scroll Bars – You want to ensure that the squeeze page fits on the screen without the user having to scroll down, hence the name “squeeze page”; squeezing the content into one screen. Also, you must make the benefit extremely obvious. You want to catch the viewer’s attention and instantly entice them into entering their information. Don’t make the user look for the benefit, put it right in their face so they can’t miss it. Usually, this is done via the use of an eye-catching headline that sparks the viewer’s interest. Just make sure what you're offering is quality - otherwise, people will feel ripped off that they provided an email address for something that isn't as valuable to them as first perceived. Do note, that many auto responders and systems that hold your list require double opt-ins. This basically means that a user will submit their email (first opt), and then click a “Confirmation Link” in their email (second opt). This ensures that the user is definitely interested in what the marketer has to offer and has not entered their email by mistake and/or is not being misled into subscribing to a list. See below for some examples of headlines for squeeze pages. Note that several of them address a solution for a problem or issue that a user may be experiencing. It is important to get the user to relate to you. "Discover Exactly How A Broke Fast Food Chain Worker Quit His Job and Learned To Make More In One Day Than He Used To Make In A Month! This Top-Secret Report Shows YOU How To Do It! "Are You Sick And Tired Of These ‘Weight Loss Fads’ That Promise Results and Never Deliver? Learn the REAL TRUTH to Fast and Effective Fat Loss Using This Free Guide! Do You Want A Step By Step Method That Has Been PROVEN to Triple Your Muscle Gaining In The Gym? Download Your FREE Report Now! How Would You Feel If I Told You How Easy It Is To Earn $143.37 Every Single Day While Sitting On The Couch In Your Pajamas? Check Out This FREE Report and Get Rid Of Money Worries Forever! Are You Struggling To Learn How Create Viral Content? For A Limited Time Only, Let Me Show You How Using Out FREE 7 Day Course! I Was Sick and Tired Of My Competitors Ranking Higher Than Me In The Search Engines, But Then I Found an Undercover SEO Method That Nobody Else Knows About! For a Limited Time, I’m Willing To Share It With You! EXPOSED: A Top Muscle Gain Guru Shares His Never Seen Before Secret That Will Explode Your Workouts and Pack On Slabs of Muscle. This Secret Has the Power To Revolutionize Bodybuilding. Find Out How! What Should My Squeeze Page Offer? No reoccurring product creation and delivery costs. Once the product is created (and of course, you can create it yourself at no cost), then the product can be sent to anyone who signs up for the list at no extra cost. When it comes to anything you are offering, whether it is free or paid, you should always focus on quality before quantity. There is no sense having a 100 page report that just contains fluff, irrelevant and downright bad quality information. 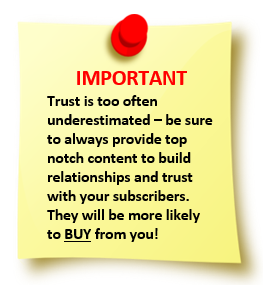 If this is the case - your subscribers will quickly lose both interest and trust in what you have to say and the products you have to offer - even if its free. 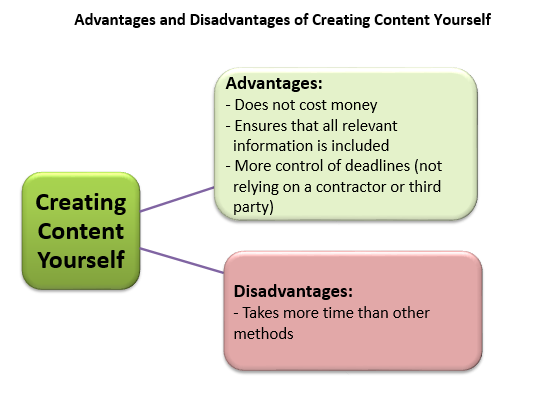 The type of content that you provide will vary with different niches, but you always want to ensure that the information is easy to digest, informative and truthful. 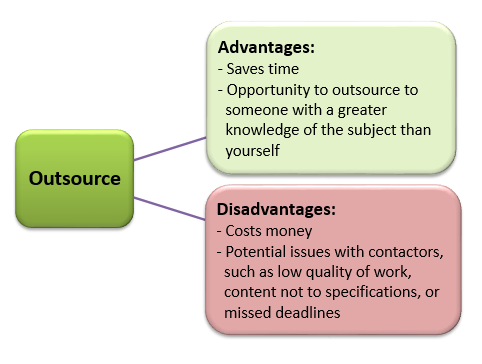 Below are a few content ideas that you could create/outsource a free report or guide to offer on your squeeze page. It is suggested that they be 5 – 20 pages in length. BE UNIQUE! You want to stand out as much as possible. Make sure you provide a solution. 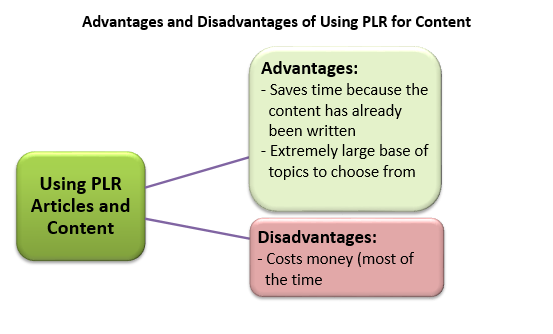 In summary, becoming a trustworthy source of valuable information can have exponential gain both short and long term. Remember, every experience with a person is an opportunity to create and/or strengthen the relationship, thus fostering yourbusiness growth for an explosive future. Good luck!